Velette Britt is an Air Force Veteran, who after a mountain bike accident, became a paraplegic. Despite this, she maintains an active lifestyle—she enjoys skiing and cycles, competitively. 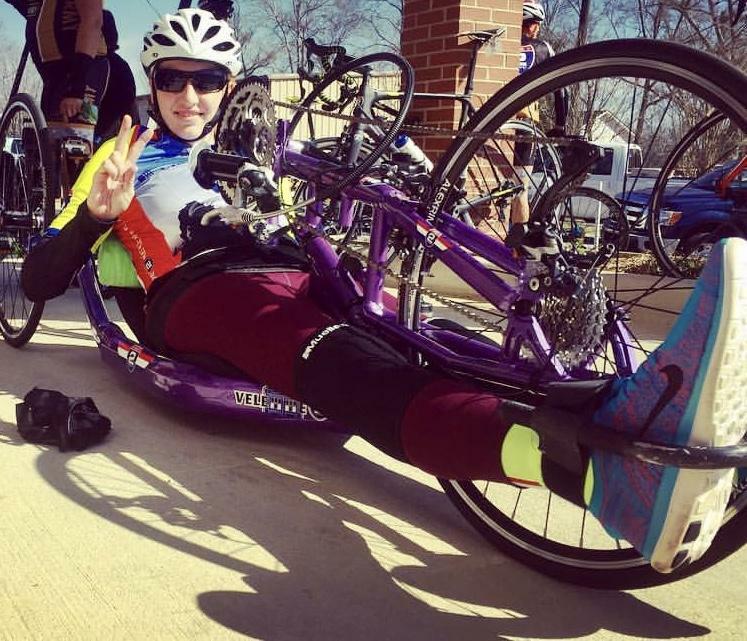 Students from Colorado School of Mines were tasked with the Challenge of helping Velette traverse curbs in her wheelchair. Mine’s team “StepUp Mechanics” came up with a solution that encompasses a system of levers and anti-roll bars that will help her achieve stability. The design is lightweight because the team used aluminum and fiberglass. Levers placed toward the front of the wheelchair grab the curb and raise the user to the top of the curb. The team installed anti-roll bars to add stability when the front wheels are lifted off the ground. These anti-roll bars attach to manufacturer-installed nodes on the wheelchair. For increased user customization, a pin system was added to the anti-roll bars so that the user can change the angle of tilt before the bars activate. Additional customization achieved by using fiberglass. Fiberglass acts as a spring. The fiberglass rods can be layered allowing the user to adjust the resistance they feel while tilting back. While the design meets Velette’s needs, others can utilize it due to its universal capabilities. The attachments will fit many different wheelchairs and are adjustable in length and spring force. Thus, QL+ can replicate our affordable solution for other Challengers.